It won’t surprise anyone who knows me in the least to hear that I’m not much of a party person. The kind of parties single people like me go to are either terribly boring or terrifically anxiety inducing. Sometimes they manage to be both. I think I stopped enjoying most social gatherings when they stopped handing out bubblegum favored ice cream cake and paper whistles. But The Sated Sheep threw a party this weekend and I kind of, sort of, had to go. I’m scheduled to teach several classes there in the coming weeks so it was expected that I show up for the big party. 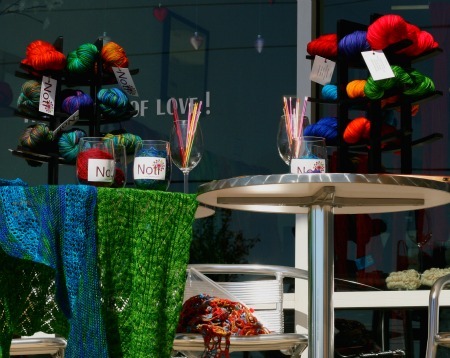 Also my good friend and owner of Noti Yarn was having her very first trunk show. Had to go and support that didn’t I? So off I went to my party and… I had a great time. But don’t be too surprised. It was my kind of party. That swift was working all day winding up customer’s new yarn. 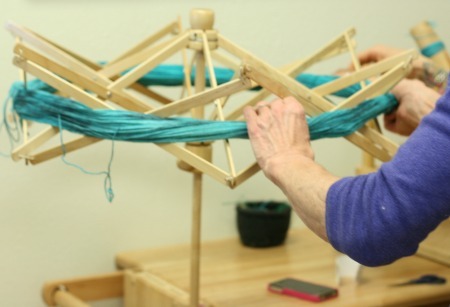 I met some great new knitters and crocheters while I was there. I met up with a dozen or so that I already knew too. I also ran into a knitter that I had lost touch with, hadn’t seen in nearly two years, and that was awesome. So awesome that we both cried a little. Then we hugged, talked at each other way too fast, exchanged numbers, and made promises to never let that happen again. Finding old friends is wonderful isn’t? Found it. I’m teaching a class on that pattern too. I also found my Noti Yarn friend and her table. Actually it was darn easy to find. They had her right at the front door! So pretty. So much color. Guess what? Noti Yarn had a great day. 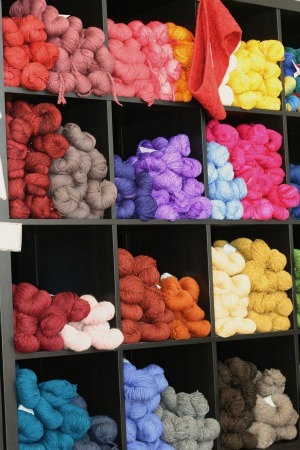 The Sated Sheep sold almost all of the Noti inventory they had in the shop and Noti Yarn had better stop reading this blog post and go dye more yarn. Knitters are waiting. 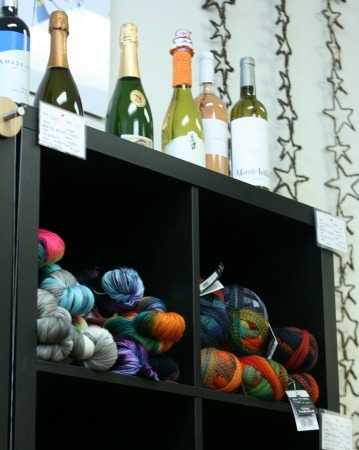 Bronotta Yarns, the shops biggest seller and a local indie dyer. 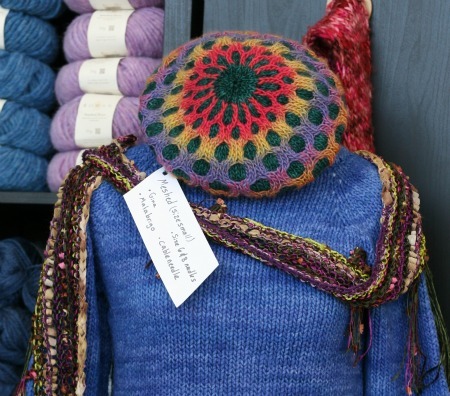 They carry Bronotta Yarns, which might sound familiar. Bronotta is a local indie handdyer. I’ve mentioned her several times. I made that chartreuse and sage Trickery in Bronotta. The Sated Sheep carries Manos Yarns. I like Manos. They carry Malabrigo too. 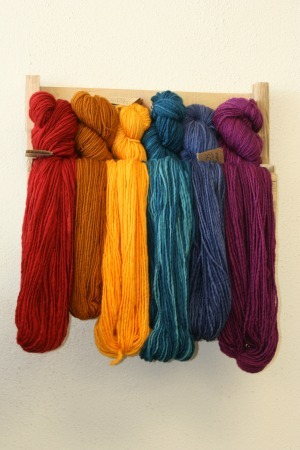 I really like Malabrigo. One of my friends bought some of that. Speaking of my friends, one of them won a door prize. The shop was giving out prizes every hour you see. I didn’t win anything. I never do. 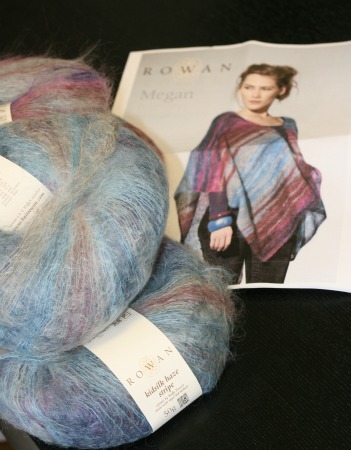 But I have a friend who won this poncho kit in Rowan Kidsilk Haze. That was fun. She won’t share it with me. I already asked. And here (saving it for the end) is what I bought. I bought Gina by Plymouth Yarns in colorways 0003 & 0009 and a sweater stone. I used Gina in that Meshed hat above and really liked it. I love the colors and it has this way of blooming and getting puffier when its washed. Its much softer then Noro Kureyon, the yarn its obviously competing with. And at $6 a ball, its a good value. So I bought more of that. That Sweater Stone? I’ve never tried one. Its a pumice stone and I hear they work wonders at removing pills from hand knits. Supposedly they make a worn out knit look fresh and new again. 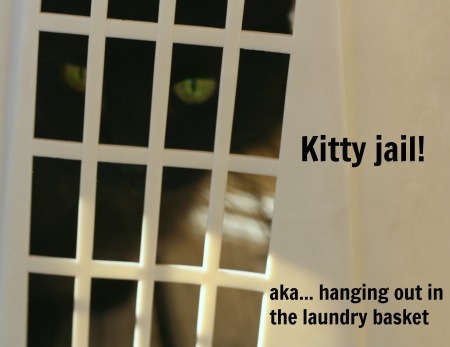 I have a few sweaters and socks that needed freshening up so I’ll put it to the test and report back. Patterns are included in the class fee along with in-shop and on-line support any time. Come join me if you can! 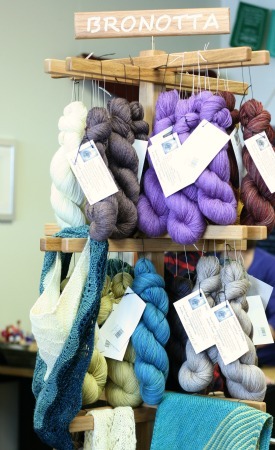 And here is the link to all the classes and events and fun at The Sated Sheep. They have stuff going all the time. Or just come hang out. If you live in the area, you really should be there, all the time, drinking coffee/wine/beer/soda and playing with yarn. No excuse needed. 10 Comments on "Sated Sheep Throws My Kind of Party"
I wish I lived close enough to at least visit. But Alas, I would love to take one of your classes. So glad you had fun. We all need more of that. OMG! I just got your note about the Sated Sheep, and I am going berserk clicking on yarns you’ve mentioned. How I wish I lived closer to you so that I could take some of your classes! Gigglesnort. Did I fill up this post with lots of click-bait? I guess I had noticed. I wish I could teach knitting and crochet all day every day. 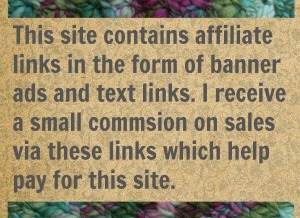 Its a terrific way to make a living and I get to meet knitters and crocheters. So I wish you could come too. I wish everyone could come. Then I’d get to meet all my readers. 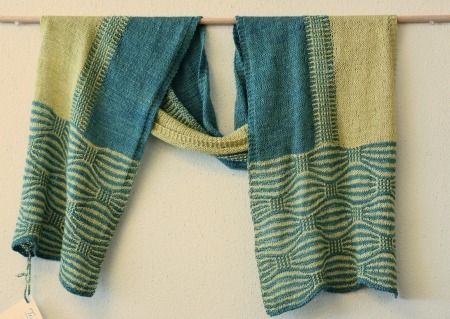 And I hope the class gives me a chance to introduce Trickery to a whole new group of knitters.! Sorry I missed you but I did buy some Noti yarn and she needs to get busy because it was hard to decide what colors to buy and there were definitely some other colorways I liked. Did you? What color(s) did you get? I can report back that Noti Yarns did get herself busy and is getting herself back out to The Sated Sheep this evening with a delivery of yarn. See? Nagging pays off. 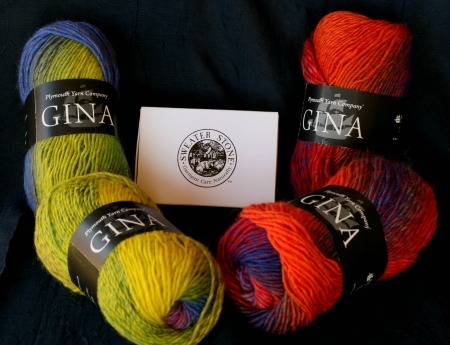 That Gina looks like a handdyed yarn. Its relatively new and I was surprised at its price. And I’ve notice that no one (so far) has asked what I’m going to do with my 4 new balls. lol Good thing because I have no idea. Just bought because it was pretty.